There are many ways to get online repair manuals for free. Just typing your car’s make, model, year, and a specific term such as a name of parts, you will see many websites, forum posts, etc… Some websites are created by auto repair manual companies and they cost you a subscription fee to use their manuals. But forum sites is usually free. By typing your car_model+forum, you will find the forum and you may find the answer you are looking for as well. You may not find the information you need but you can also post your question and wait for an answer from other forum users. This may be a little time-consuming way to do. But it is free. 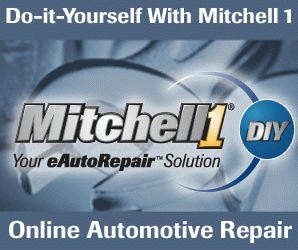 Even if you have a good repair manual, you should keep in mind that there are always forums to help your auto repair jobs. What else? Some auto parts store offer online car repair manuals for free. Autozone.com is popular for free manuals. You will need to register (also free) to get access to the manuals. AutoZone has manuals of many models and years and you will have access to all of them after a free registration. The manuals are neat and easy to see and navigate. The contents are somewhat lacking of information as compared with paid online repair manuals. But again, it is free and no harm to you except you keep receiving promotional emails from AutoZone. As a useful technique, there is an Image search to take advantage of. Most browsers are default to Web search. By changing it to Image search, you will have greater chance to find wiring diagrams, or pictures and illustrations. Needless to say, visual contents are helpful in finding the location of the part, estimating the difficulty of the overall procedure. Using Image search sometimes save you a lot of time when you try to get free repair manual online. Online car repair manuals keep our planet clean. They don’t consume trees. That is why many publishers such as Chilton’s and Haynes tend to have more and more online car repair manuals. To use most online car repair manuals, you need to pay a subscription fee, monthly, annually, or even lifetime, depending on publishers. If you have no clue to choose which publisher is the good, look for a sample page in their websites. Most publisher’s website have sample pages. ALLDATAdiy.com has complete manuals of 2 specific vehicles as a sample. If your car’s models and year are the same as these sample vehciles, you are so lucky to use the manuals for free. This entry was posted in Repair Manual and tagged Online Repair Manual on April 11, 2013 by admin.